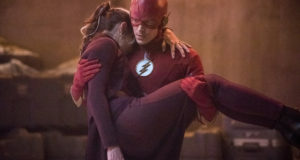 Home / News / The Flash Is New Tonight! The Flash Is New Tonight! 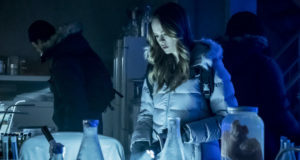 A new episode of The Flash airs tonight at 8PM on The CW! Emily Bett Rickards guest stars as Felicity Smoak and Wentworth Miller makes his first appearance as Leonard Snart… a.k.a. 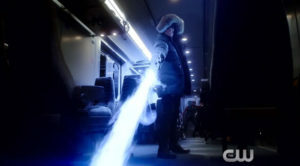 Captain Cold! He’s a chilly dude. We spoke with Wentworth Miller on the set of The Flash recently, and you can read that interview here. Previous: Flash “Going Rogue” Extended Promo Screencaps: Lots of Felicity & Captain Cold!